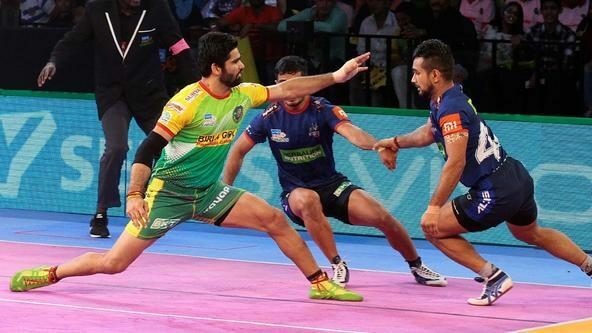 Patna Pirates set up a date with Bengal Warriors in Qualifier 2 by beating Puneri Paltan 42-32 in the third eliminator at the DOME@NSCI SVP Stadium in Mumbai on Tuesday. The Pirates were trailing Pune till as late as the last quarter of the game but Patna demonstrated their mettle to keep their title defence hopes alive. Once again it was Pardeep Narwal who was the star of the show with a game-high 19 points that crushed Pune’s title chances. 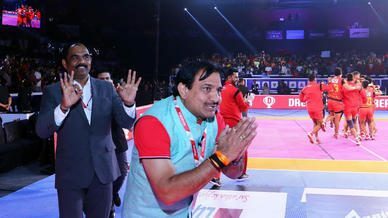 High on confidence after his record-breaking display against Haryana Steelers last night, Narwal put on back-to-back match-winning performances when his team needed them the most. 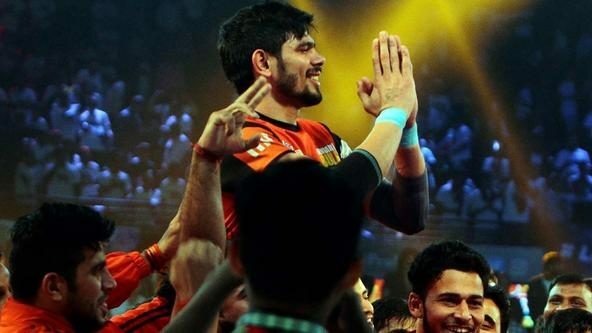 All 19 of his points were touch points as Pune’s defence failed to come to grips with his incisive movement and clinical raiding. 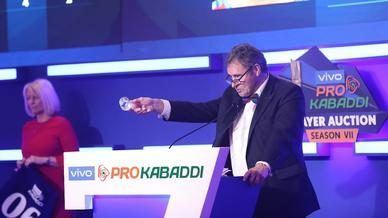 His most crucial raid though was a four-point super raid that swung the game entirely in his team’s favour, while taking the stuffing out of Pune. Narwal peaking at the business end of the season is definitely a positive for the double defending champions and not good news for Bengal, who’ll face them in the second qualifier in Chennai on Thursday.